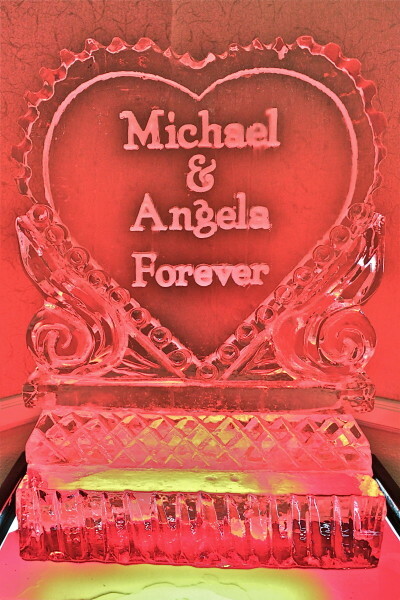 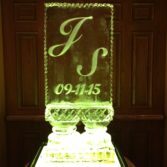 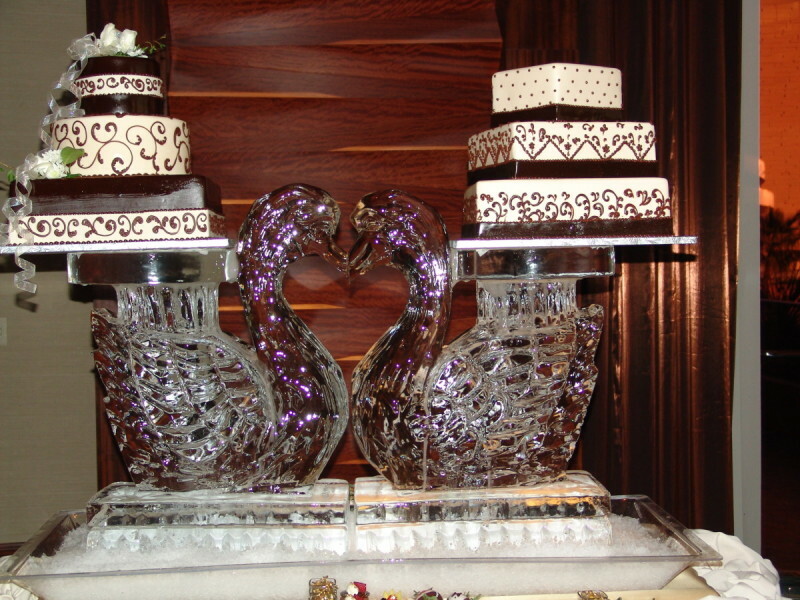 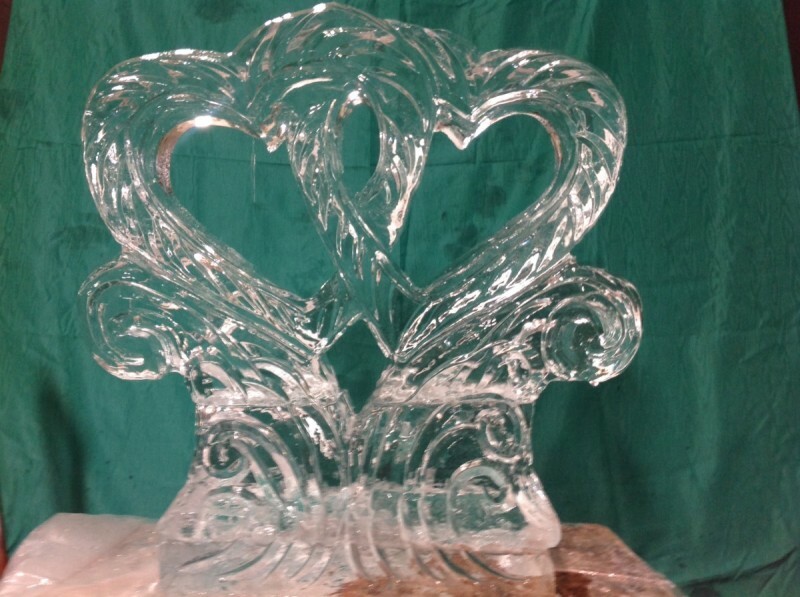 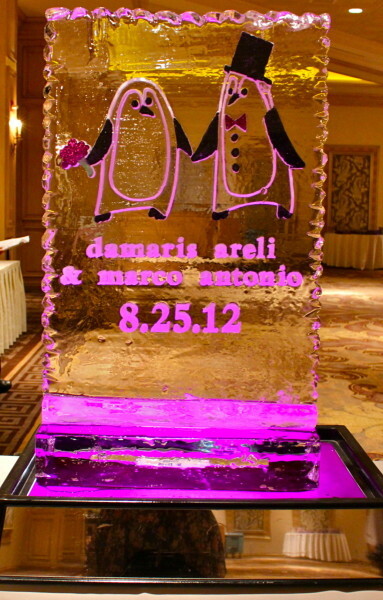 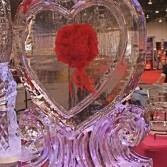 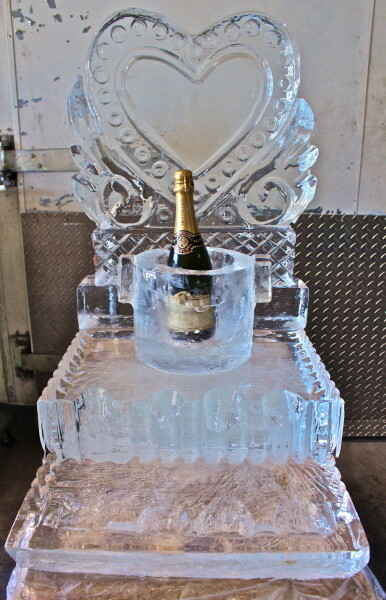 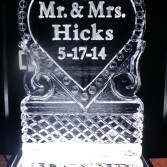 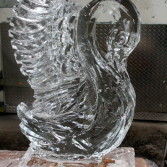 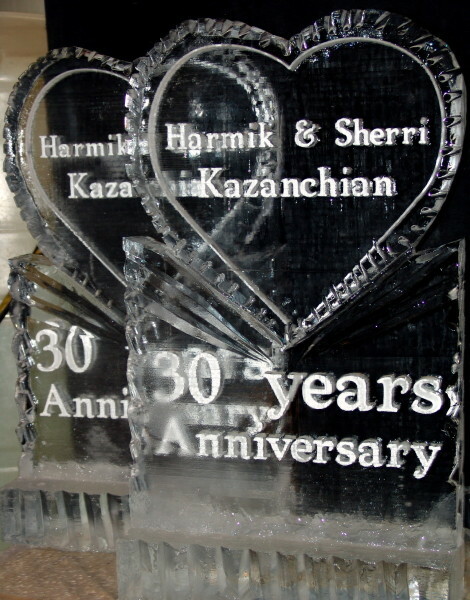 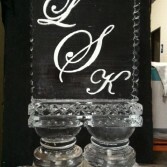 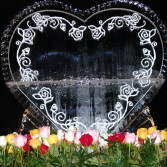 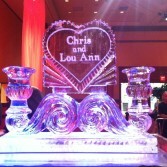 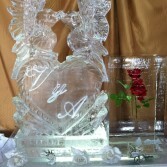 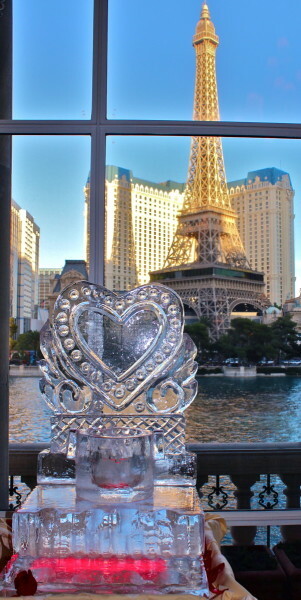 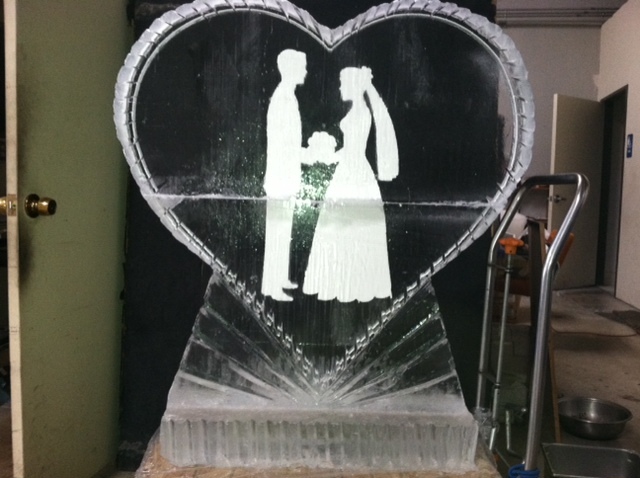 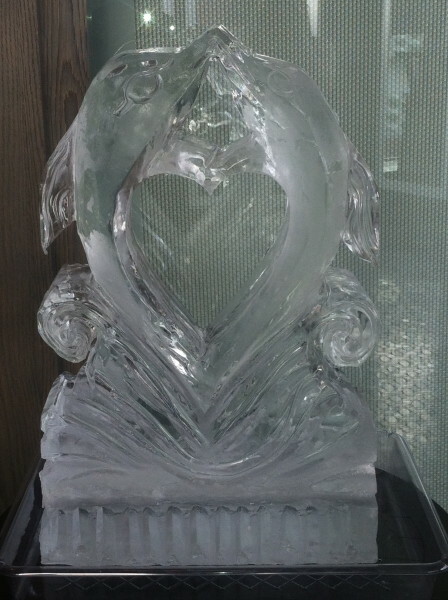 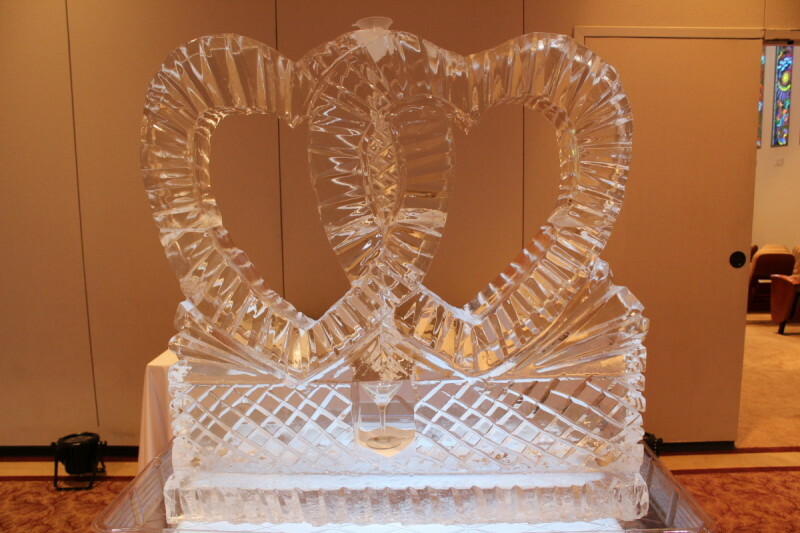 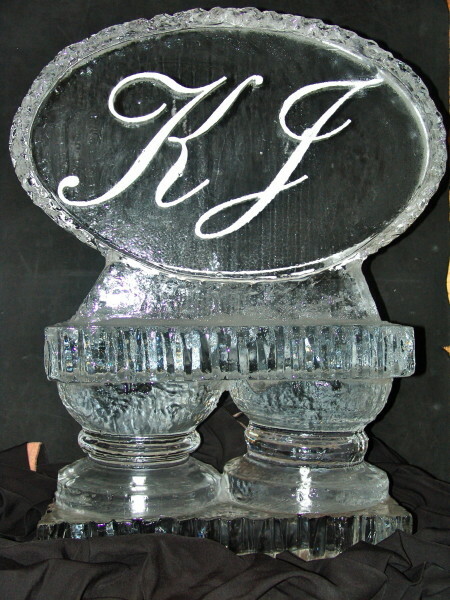 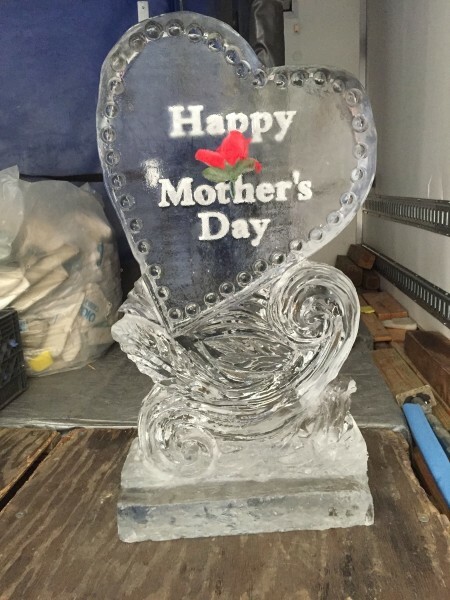 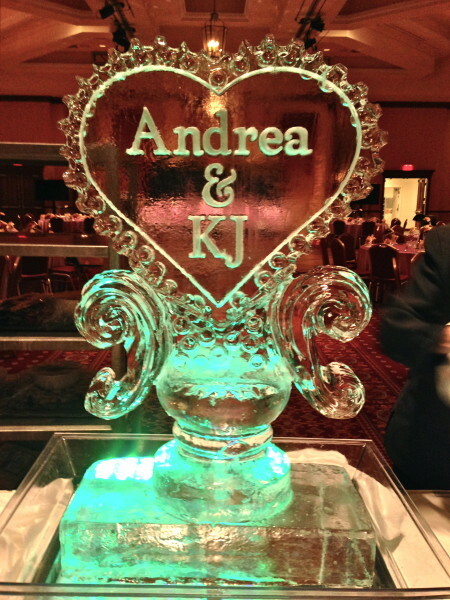 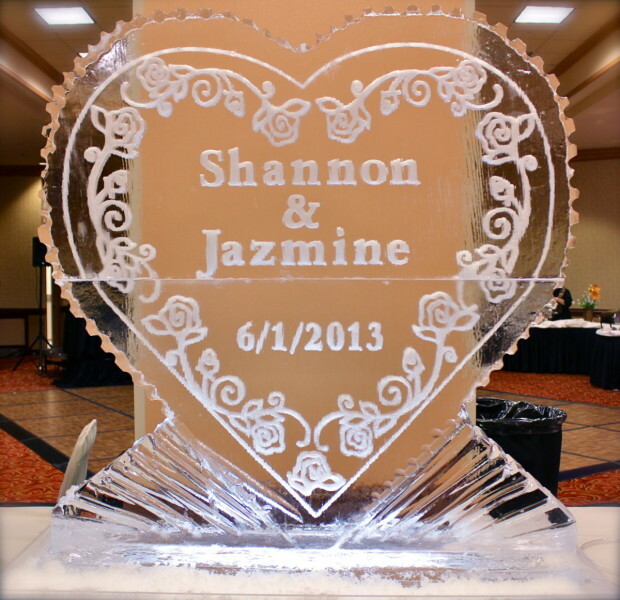 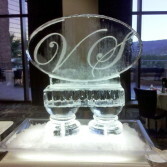 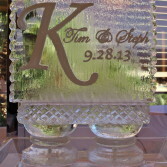 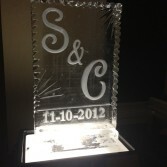 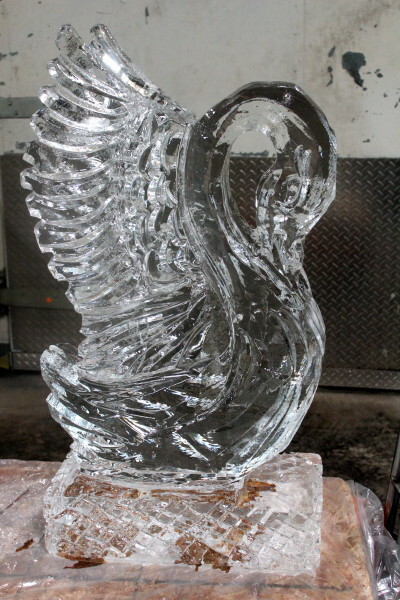 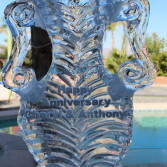 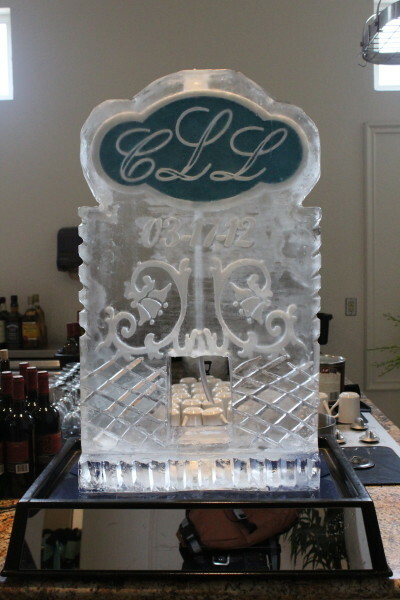 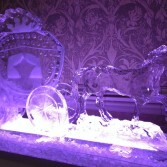 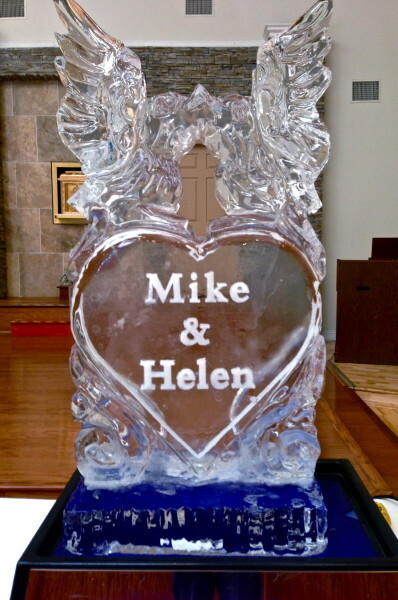 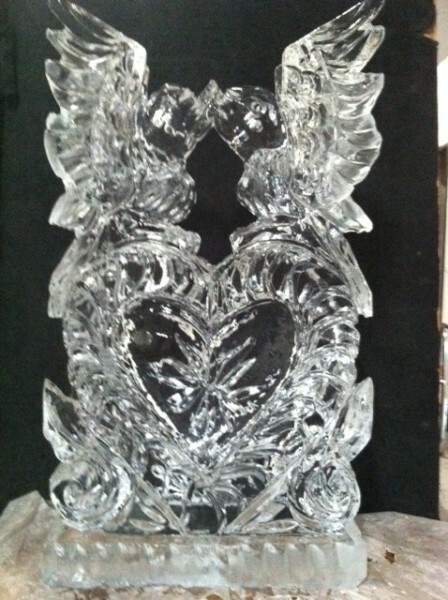 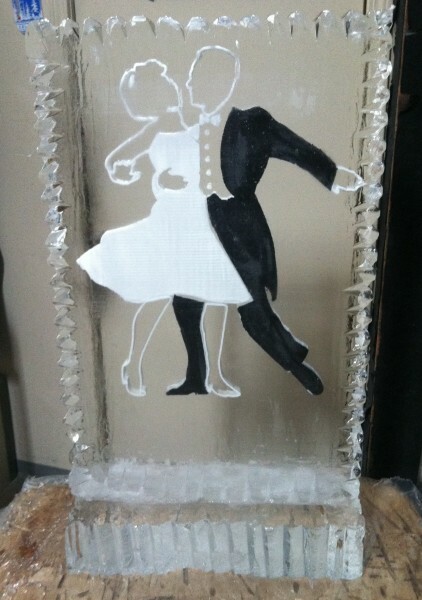 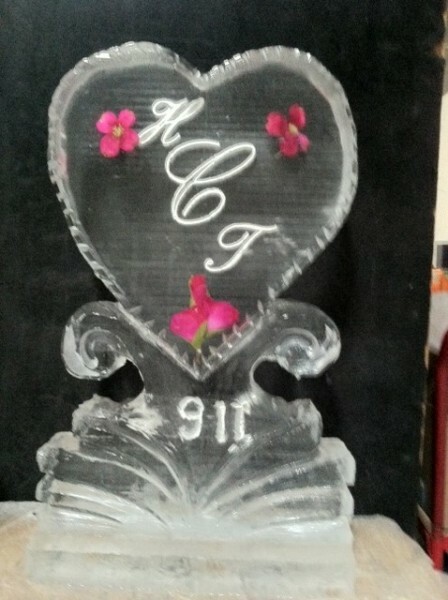 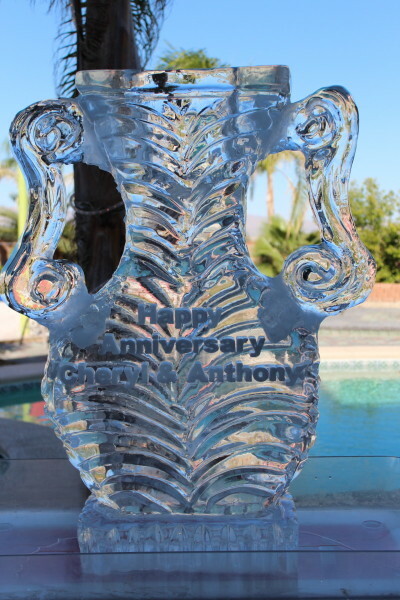 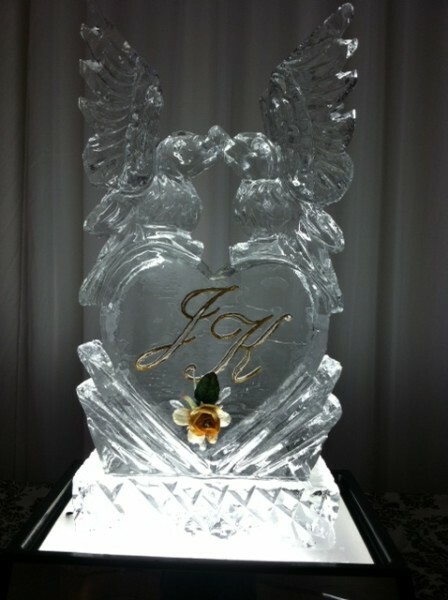 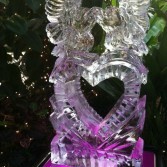 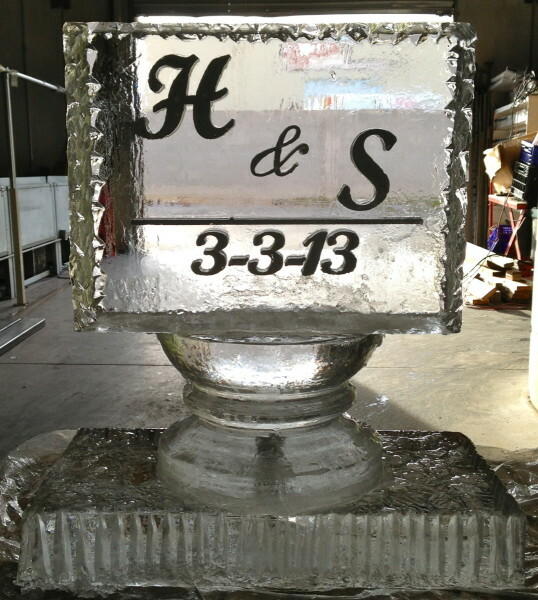 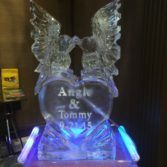 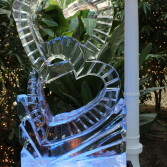 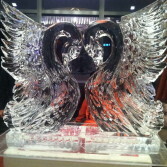 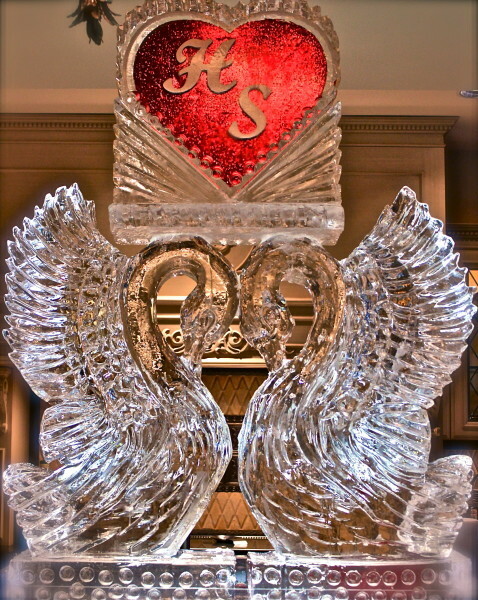 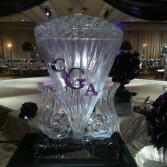 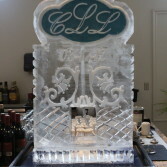 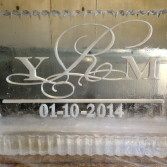 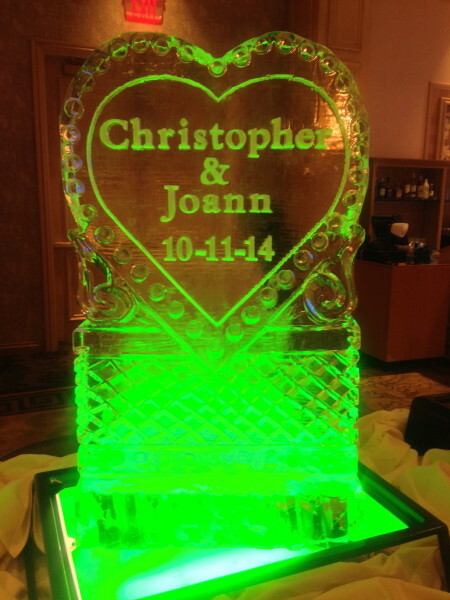 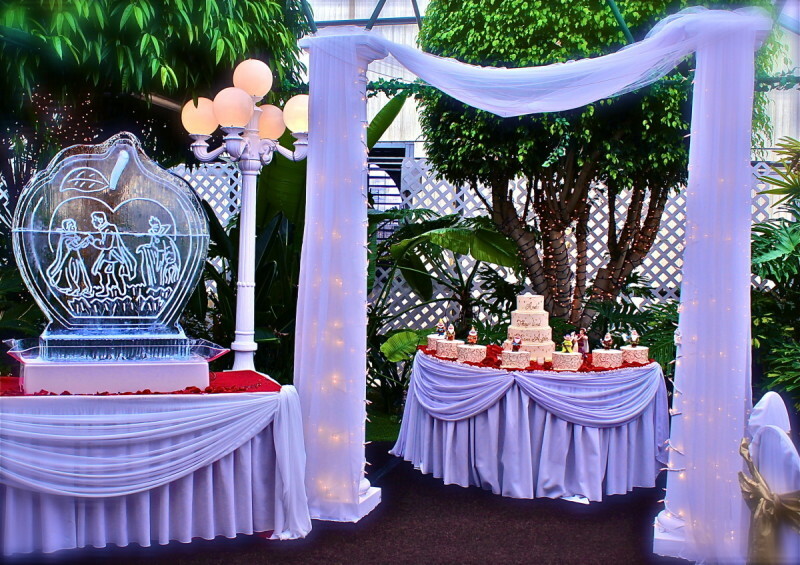 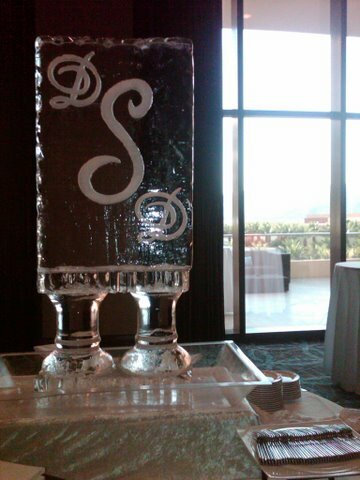 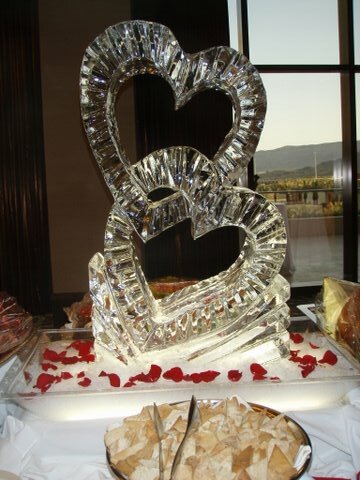 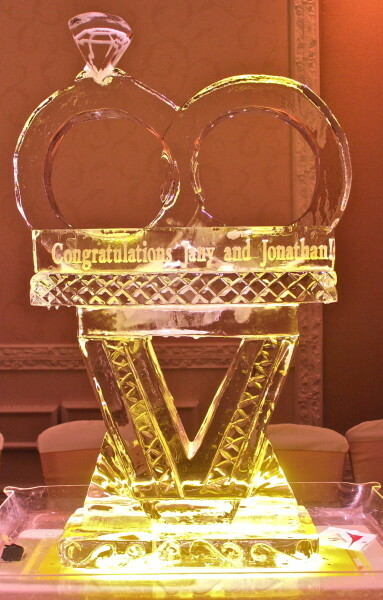 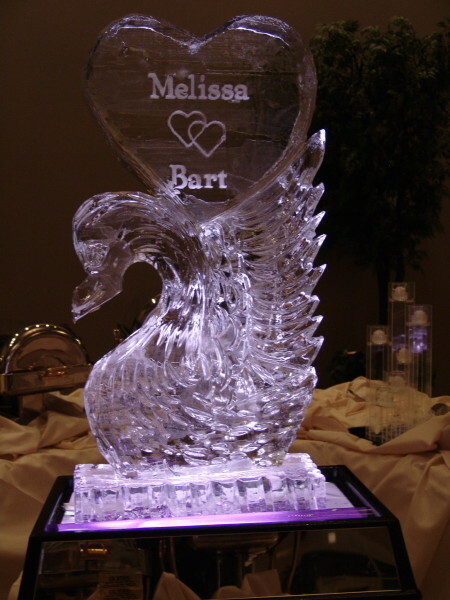 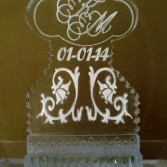 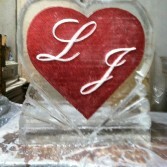 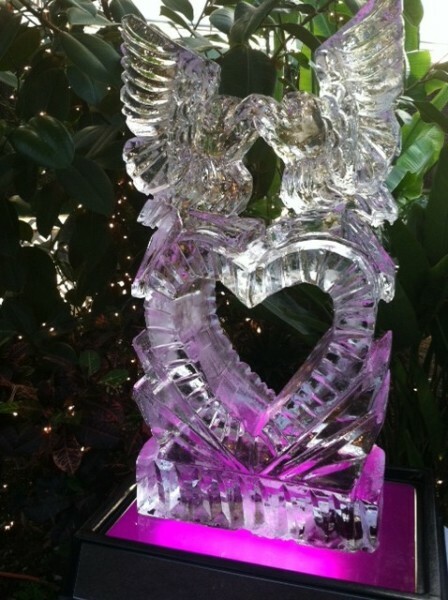 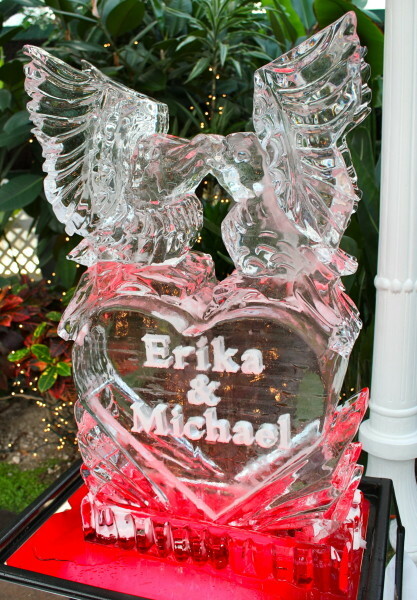 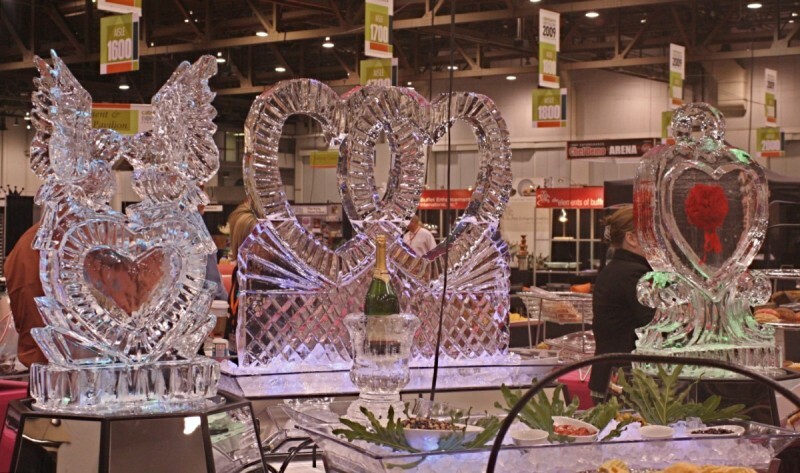 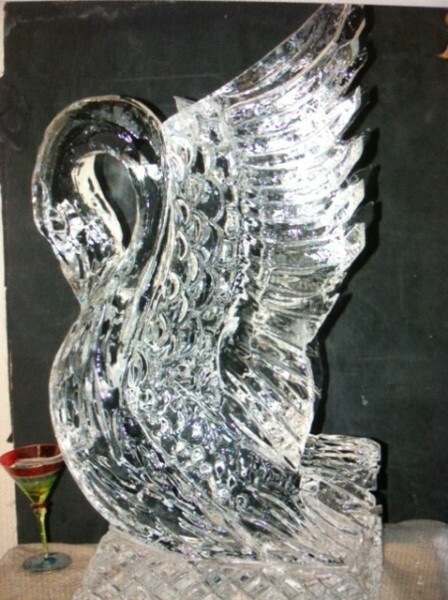 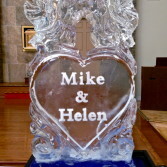 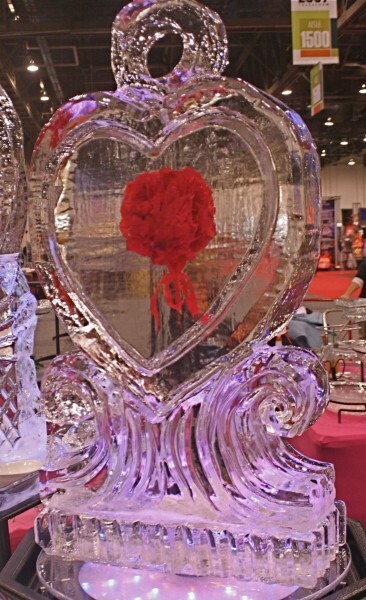 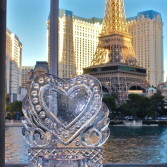 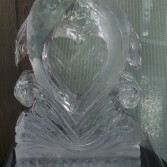 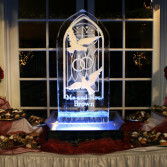 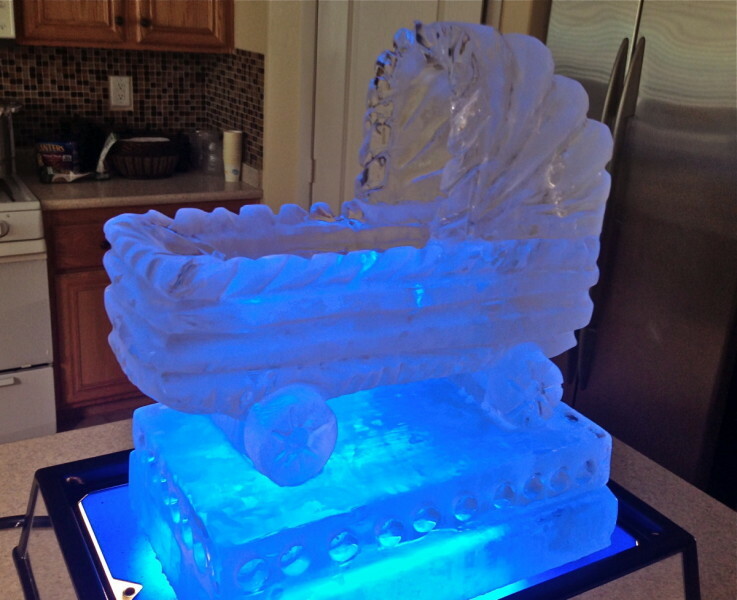 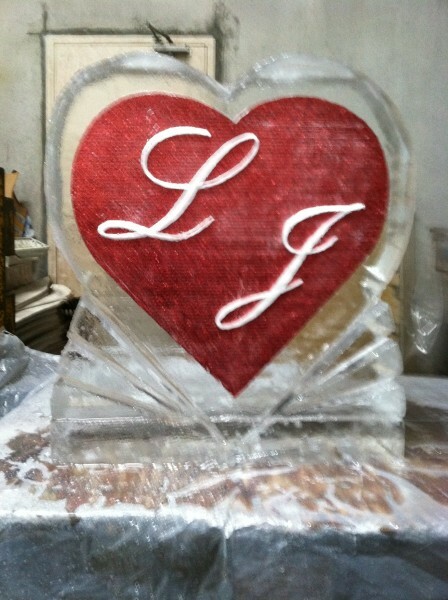 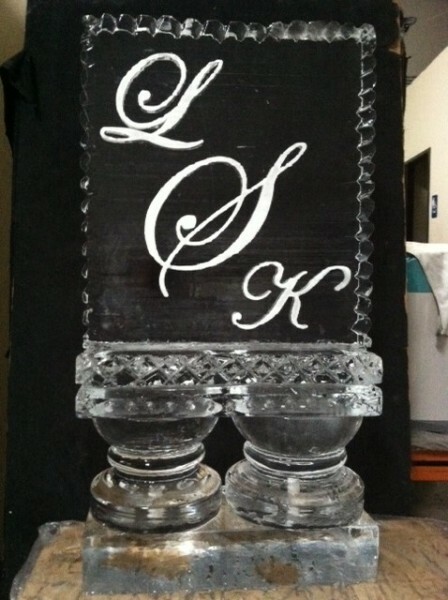 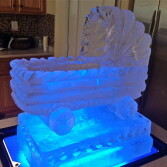 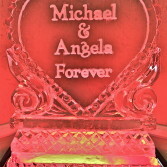 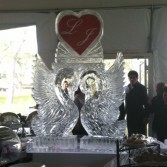 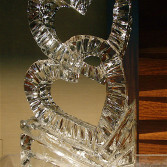 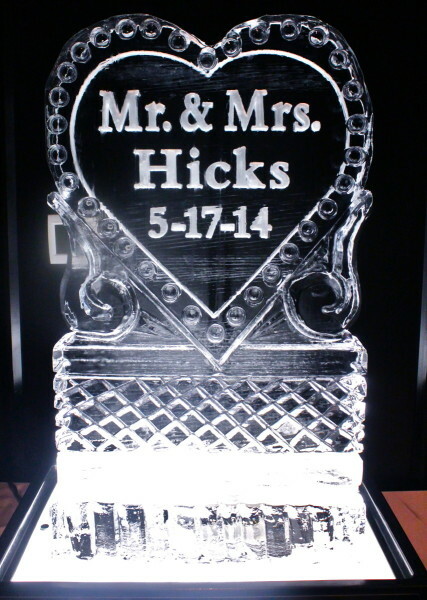 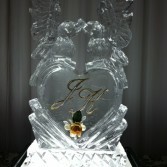 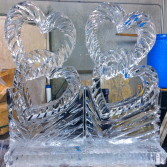 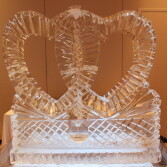 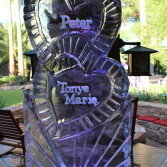 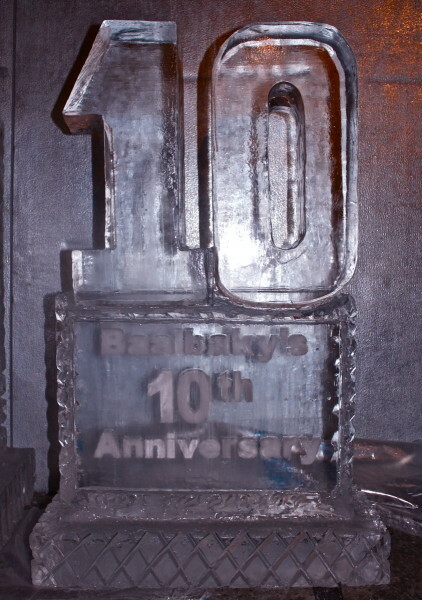 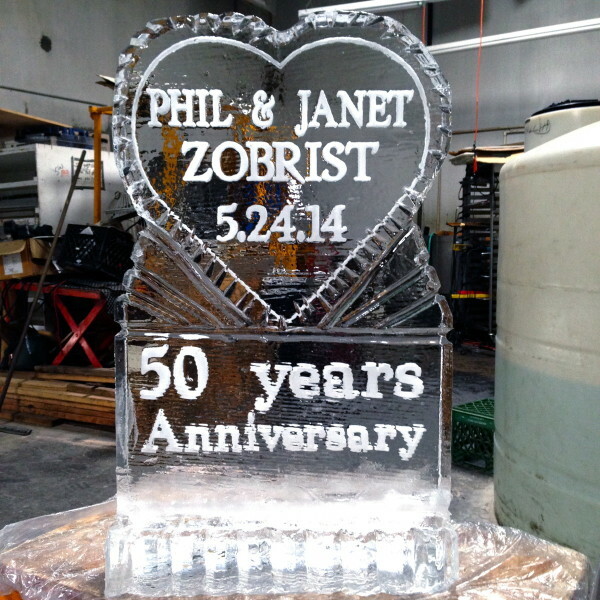 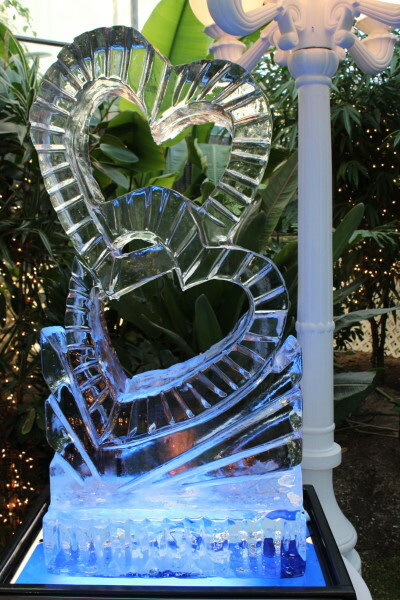 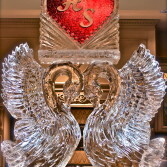 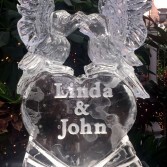 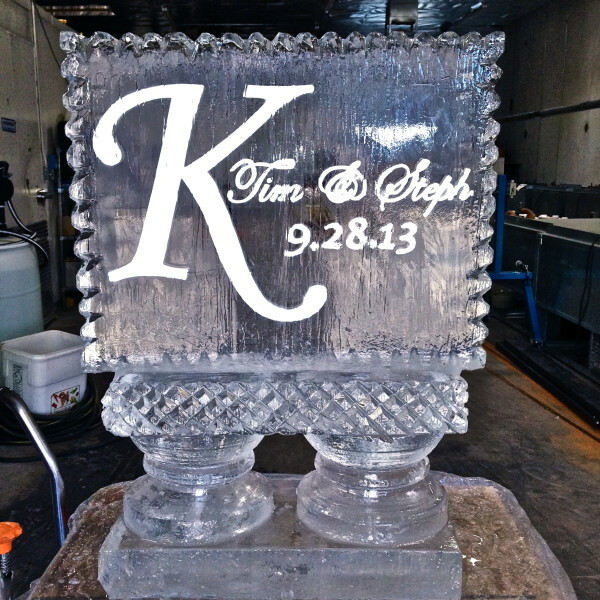 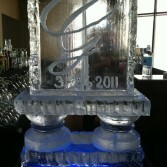 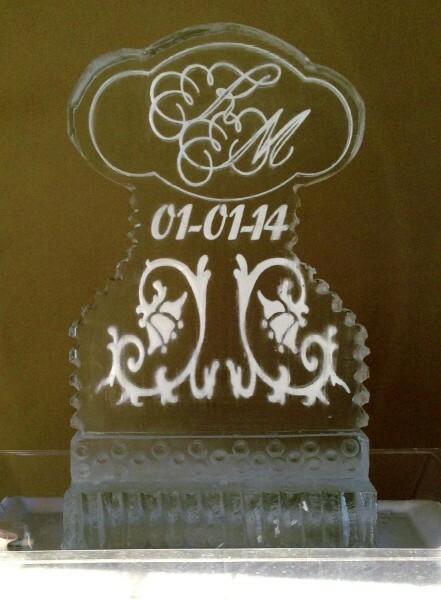 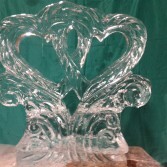 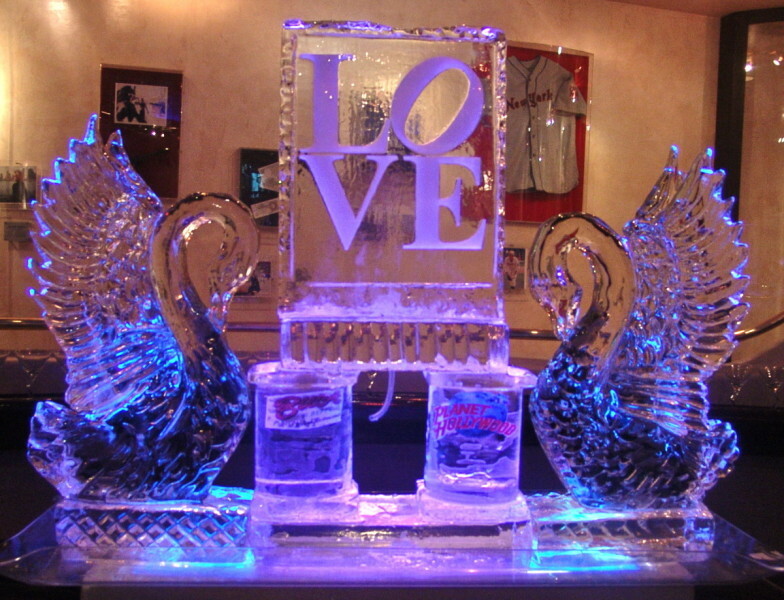 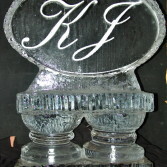 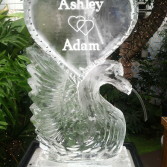 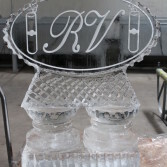 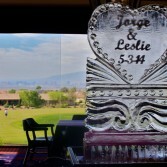 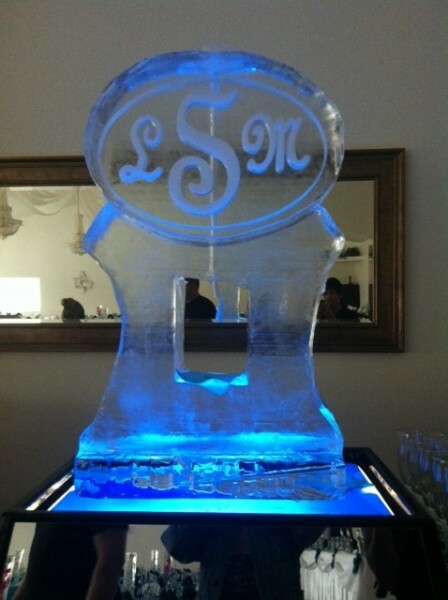 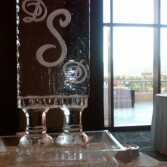 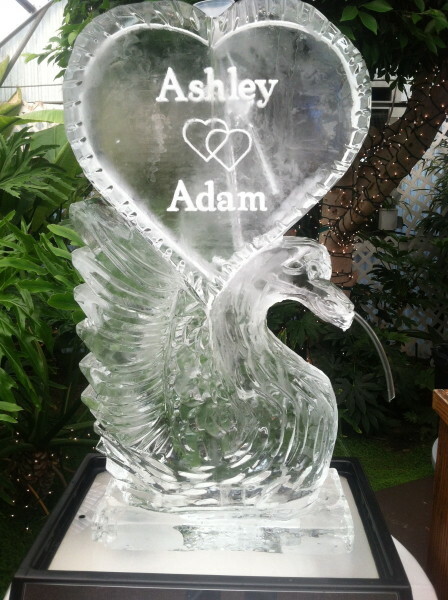 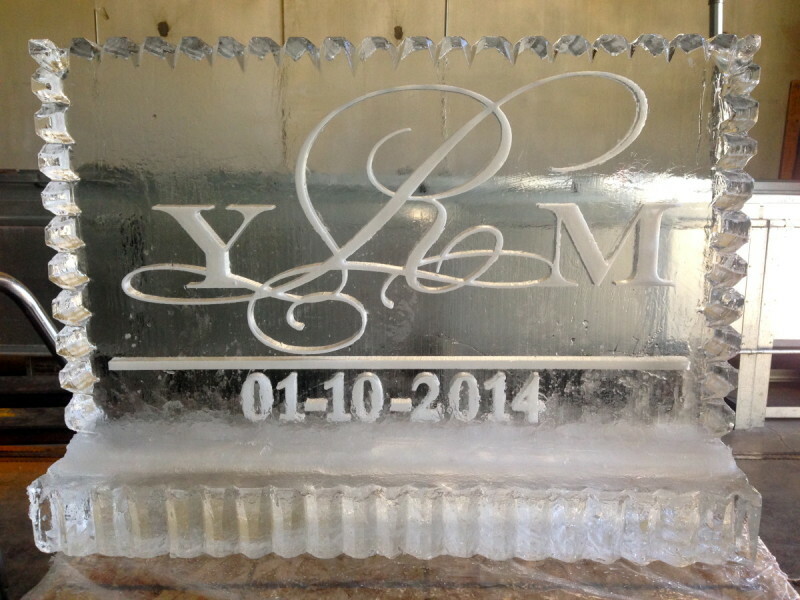 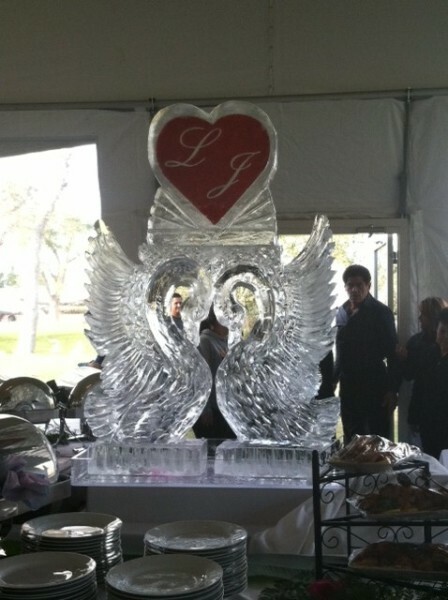 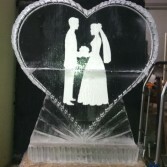 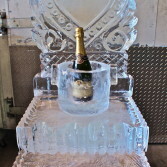 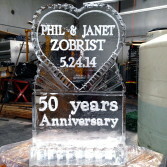 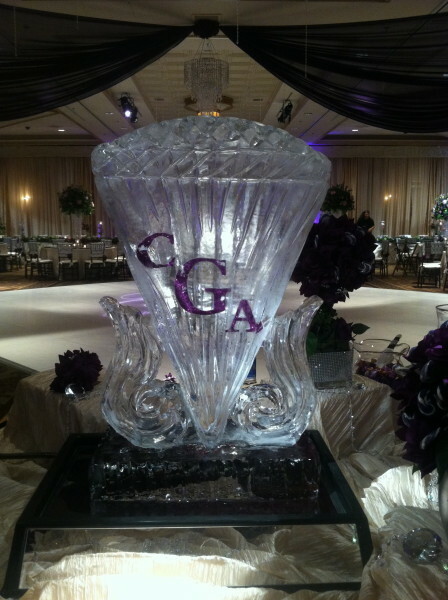 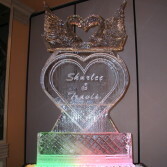 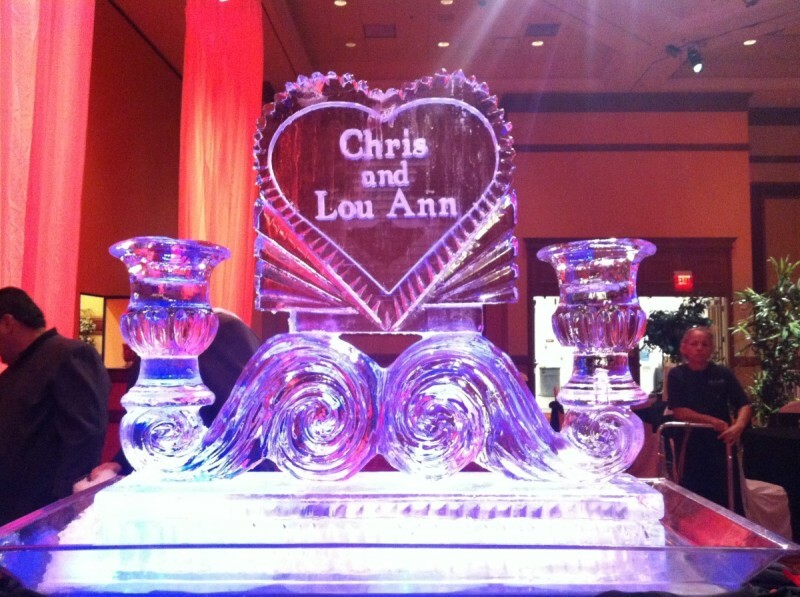 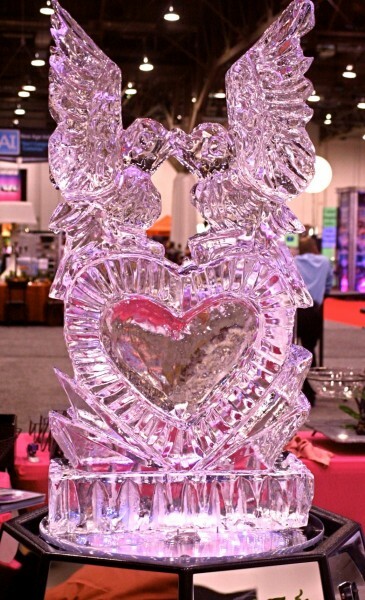 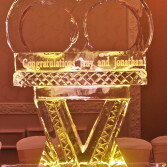 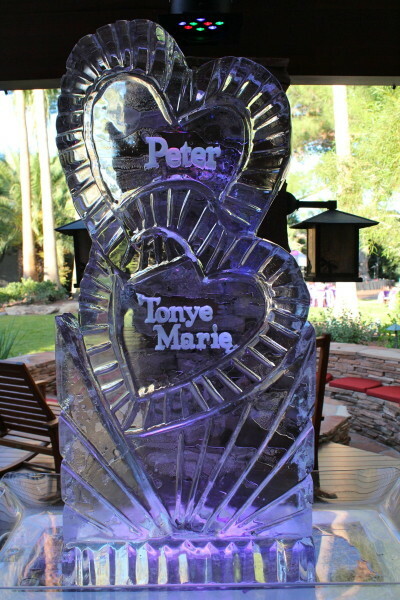 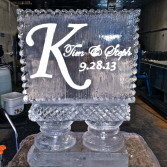 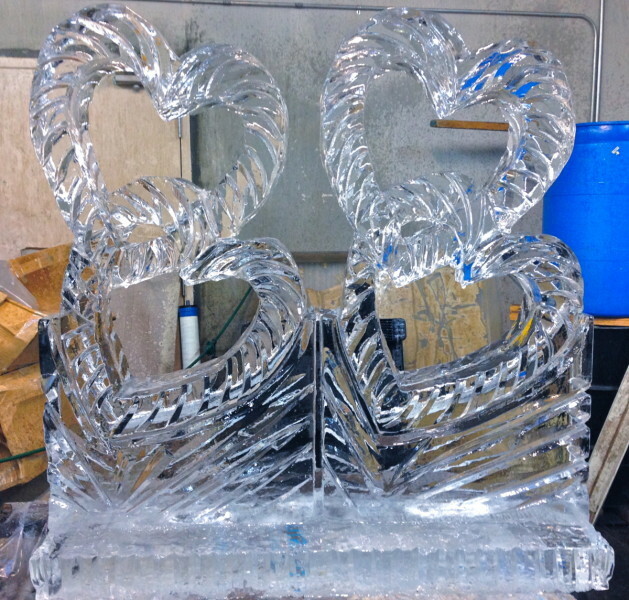 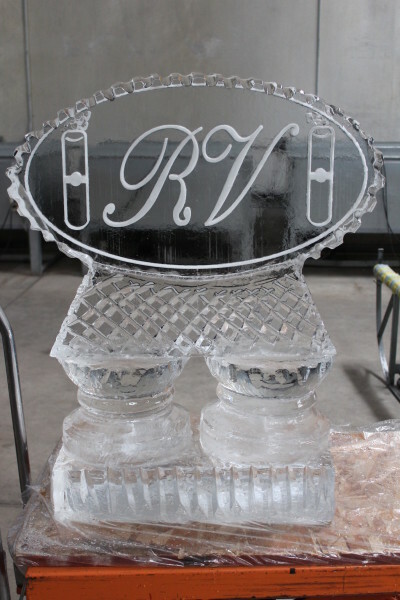 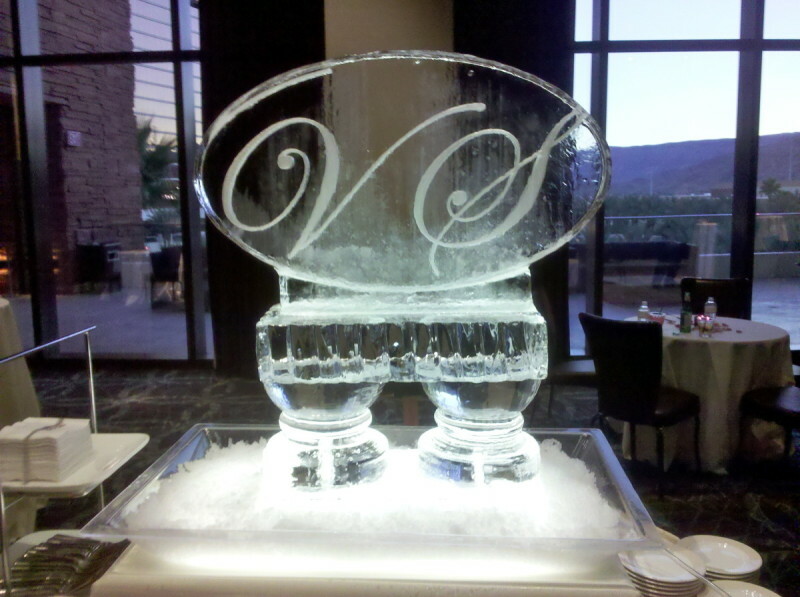 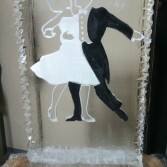 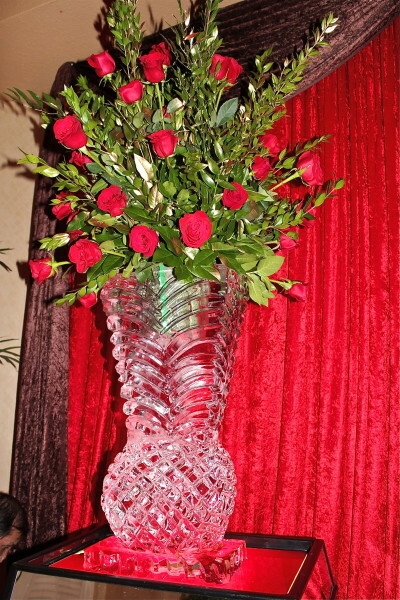 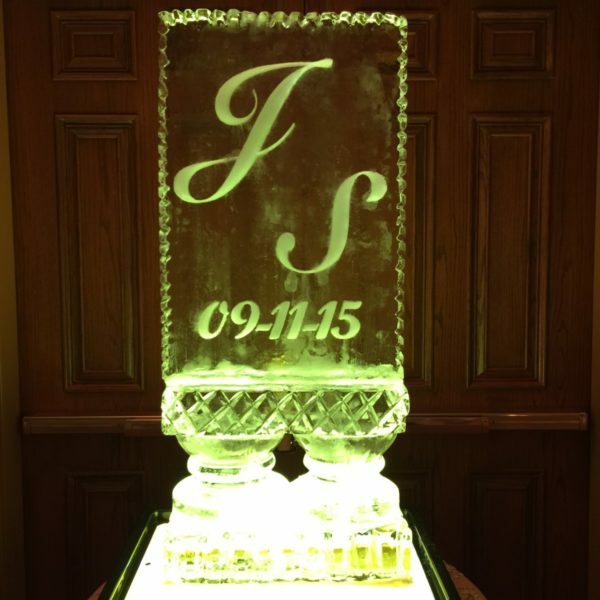 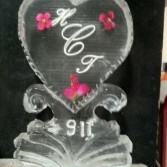 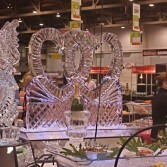 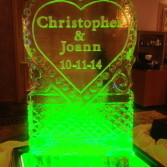 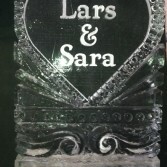 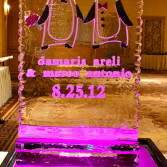 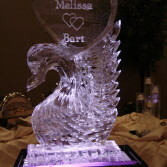 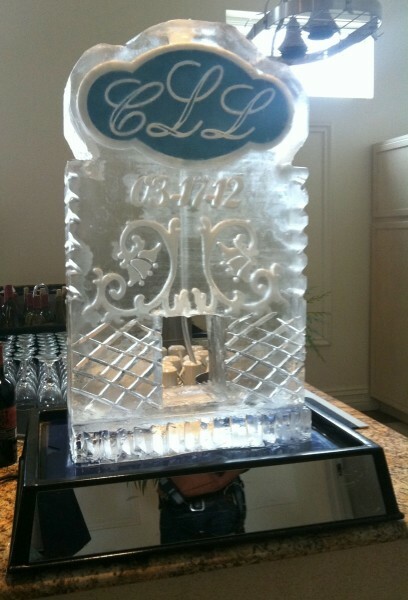 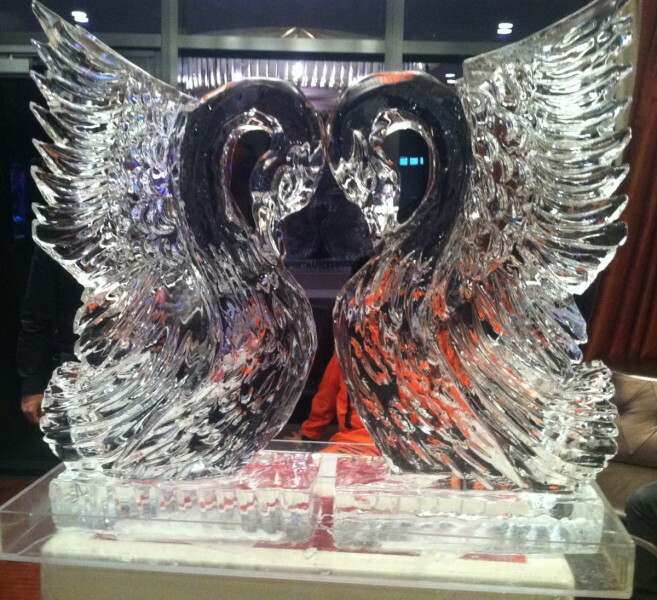 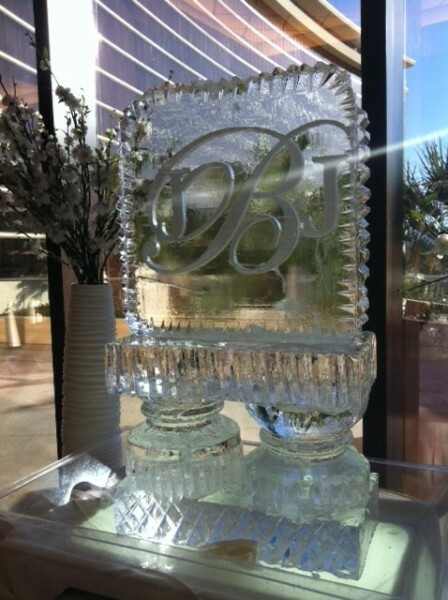 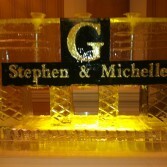 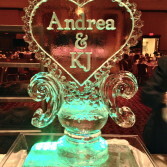 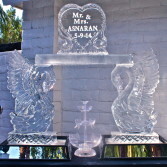 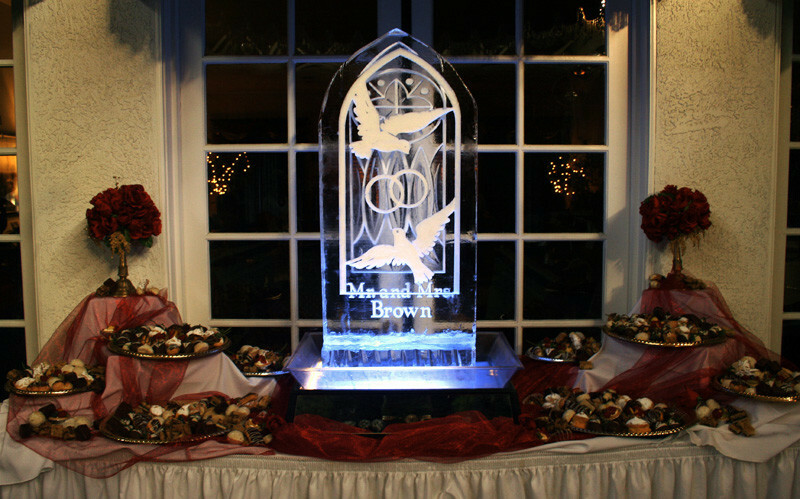 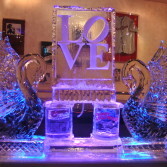 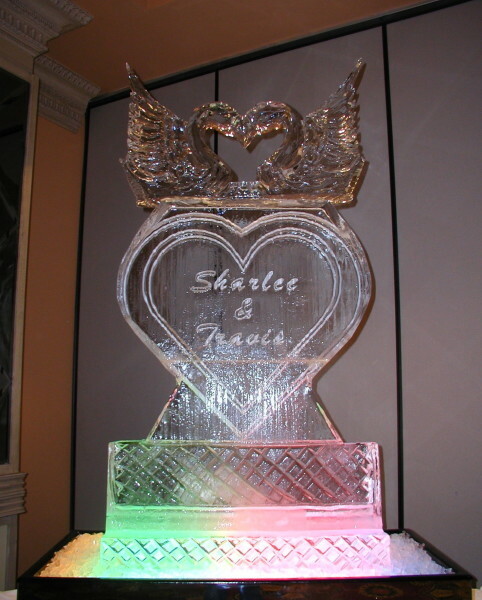 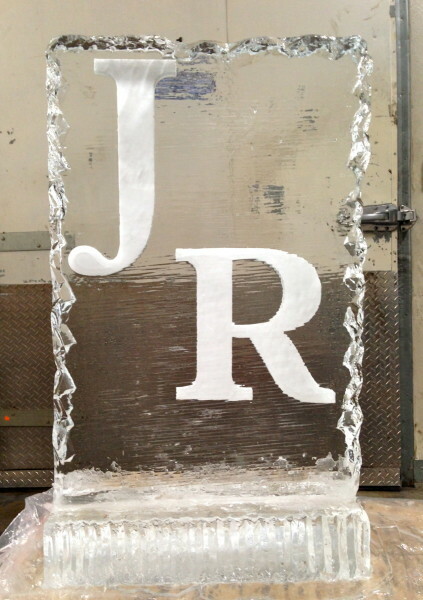 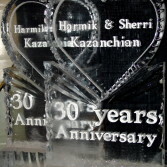 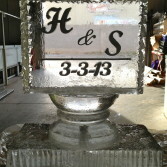 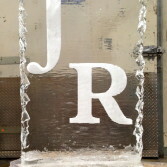 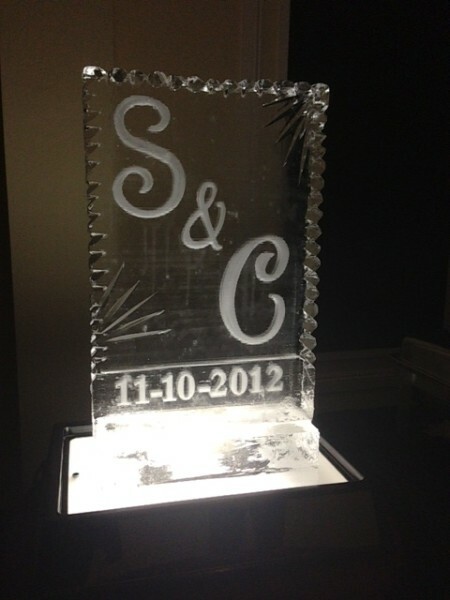 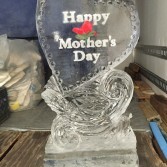 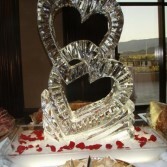 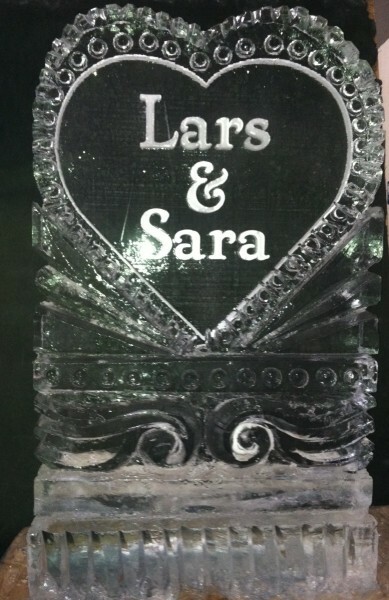 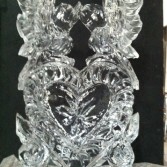 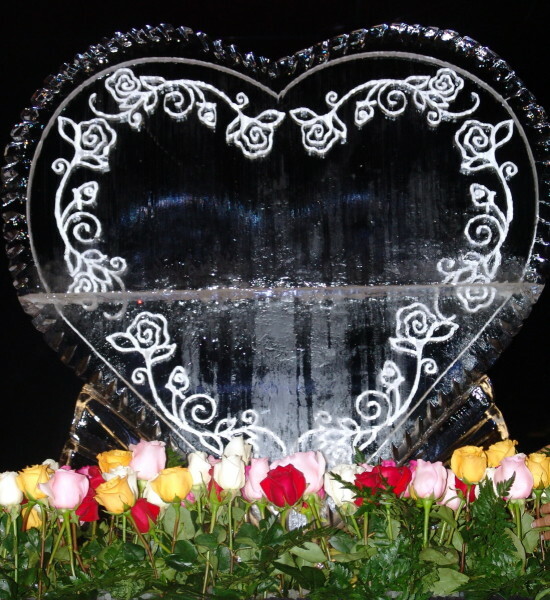 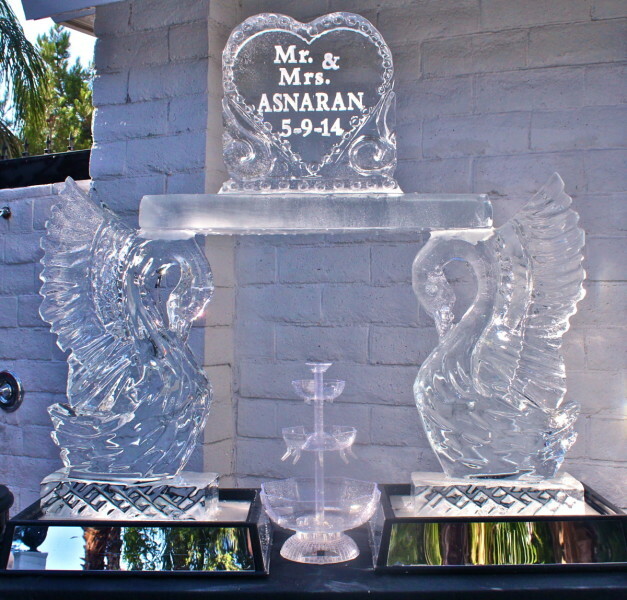 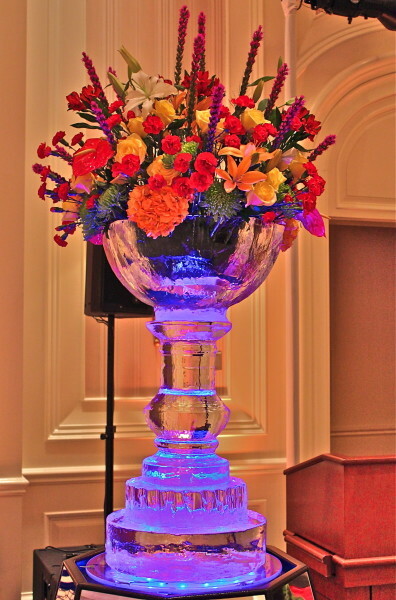 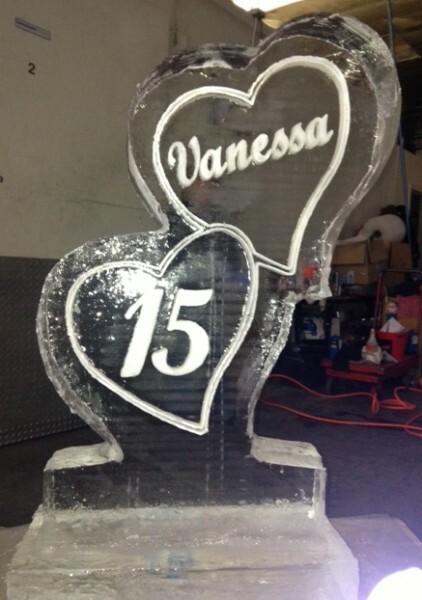 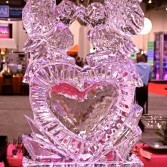 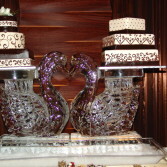 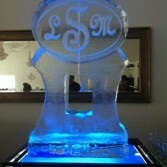 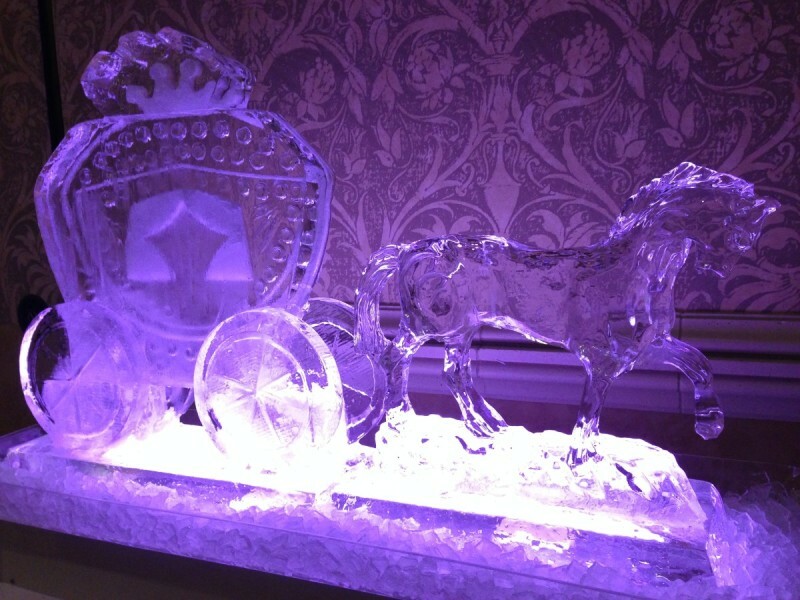 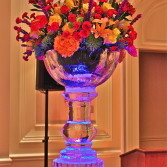 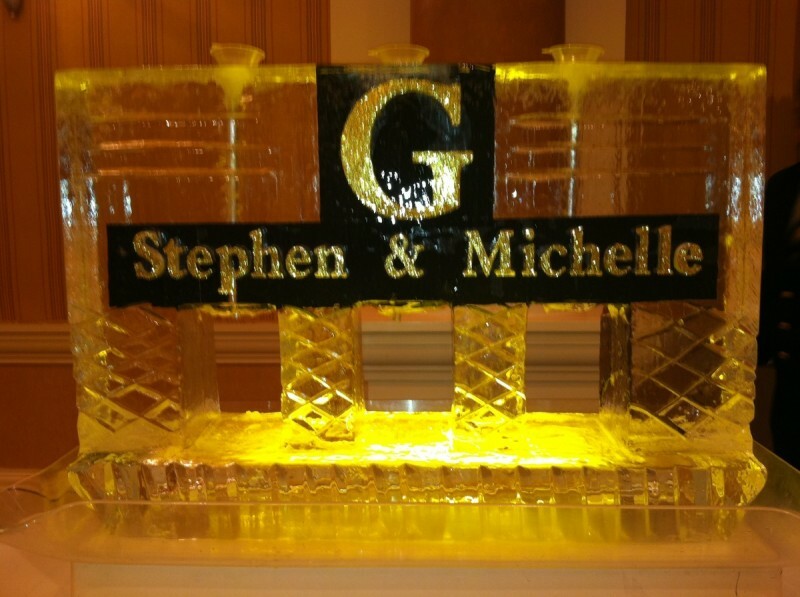 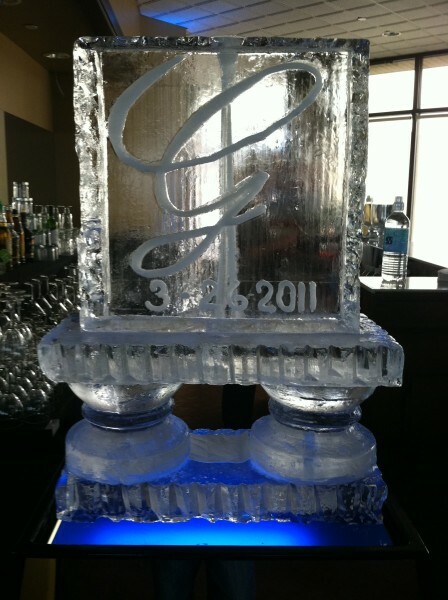 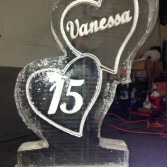 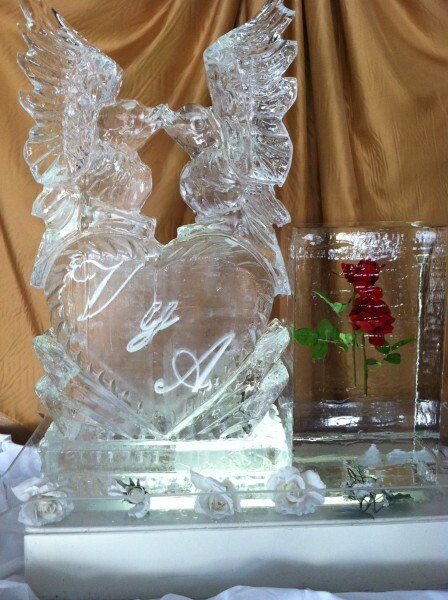 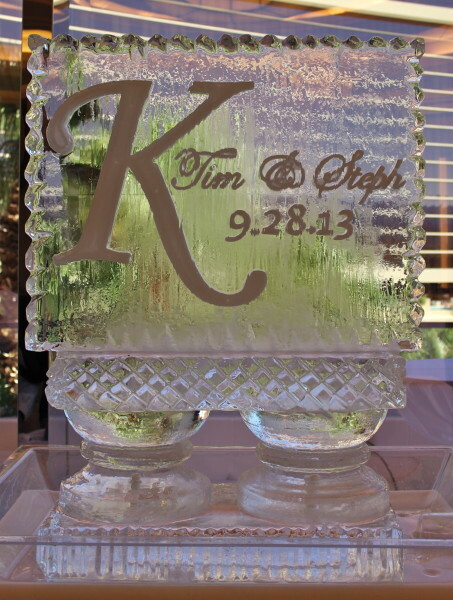 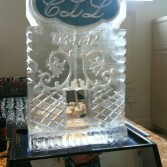 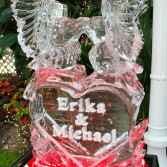 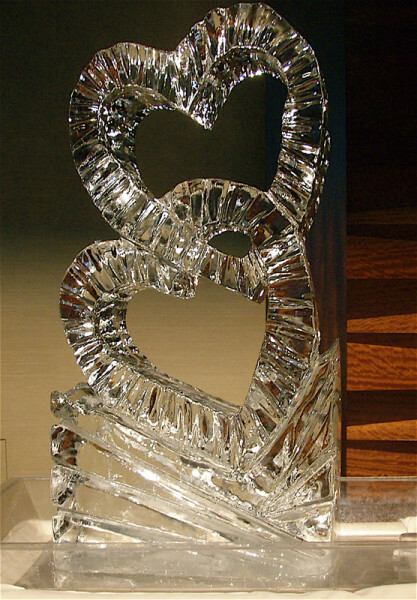 We magically transform several hundred pounds of ice into a beautiful hand-carved centerpiece for your special day. 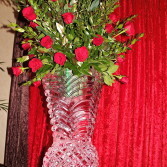 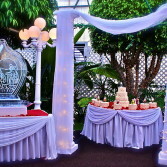 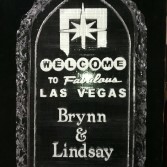 They are always a perfect accent for your reception and your guests will be talking about it for years to come. 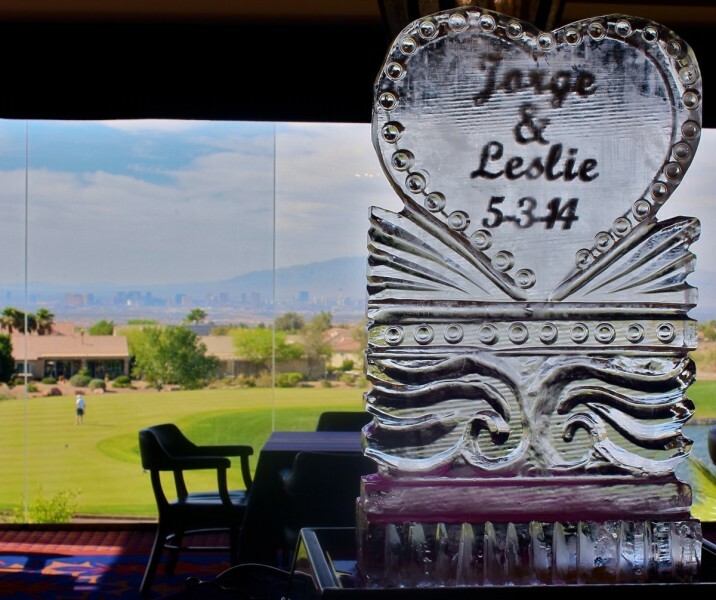 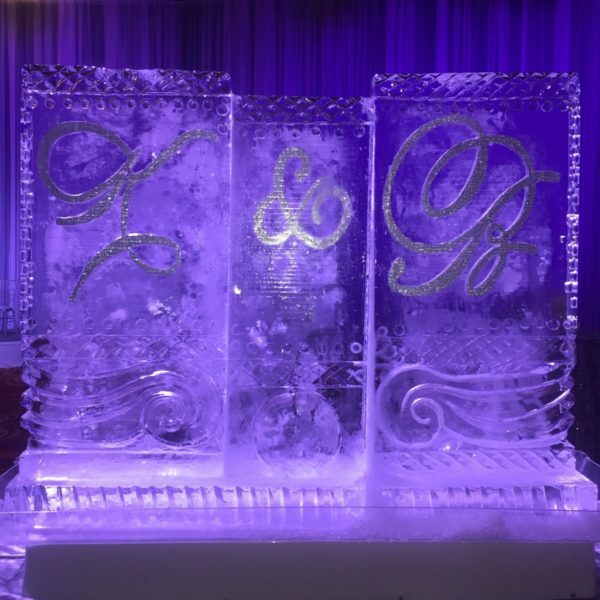 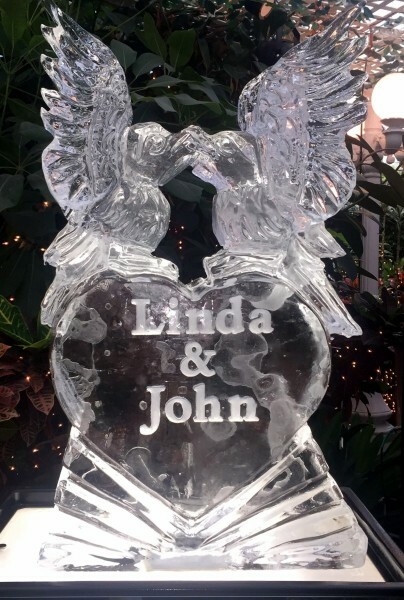 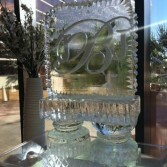 Since there is nothing like an ice sculpture to create a grandiose atmosphere, our art is sure to catch the attention of your guests, and make your special day one to always remember. 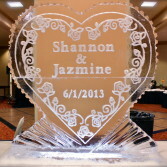 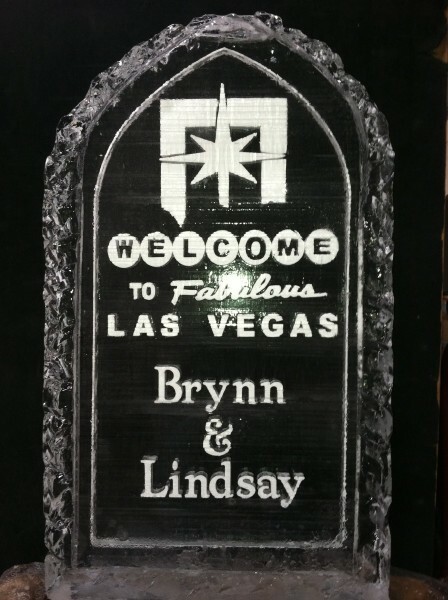 We offer a variety of compelling designs and take custom orders, since we know every wedding has it’s own unique flavor. 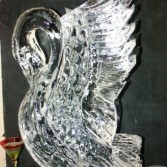 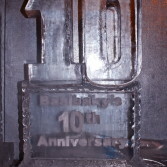 Our prices are reasonable and our sculptures are of the highest quality.